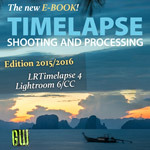 I've added another feature to my Pro Timer Extended Software https://forum.lrtimelapse.com/Thread-new...ded--11111 . The mode "Move (M-S-M) has been extended by the function" Slave Mode ". In slave mode, the interval of the Pro timer is switched off and controlled externally. 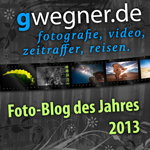 For this, the camera port is converted to the trigger input. This is another line from the jack to Arduino necessary. An image with the extended circuit is attached. To set the slave mode, in "Move" mode, the interval is set to the very bottom and another step. After that, "Slave Mode" appears in the display. By pressing the button upwards it is switched off again. The remaining settings for the slider are set as usual. The Syrp genie mini is programmed slightly differently than the Pro Timer. Only times are set. The duration of the recording, the duration of the final TL video and the interval time. Depending on what you set, the other values change. The time then displayed for the TL video is the basis for setting the "No of shots" in the Pro Timer. e.g. the TL video in genie mini is 4 sec * 25 FPS results in 100 pictures in the PT. The camera cable of the genie mini is connected to the camera output of the Pro timer. The camera is connected to the TLSMC. The trigger signal of the genie mini is then sent by the Pro Timer via I2C to the TLSMC. This then controls the camera and the motor. This is a 2 axes (Move & Pan) TL possible. 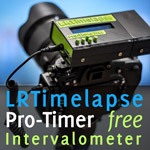 In addition, the Distance Ramping function https://forum.lrtimelapse.com/Thread-dis...-pro-timer can be used in the PT. These can then be combined with the Ease in / out (angle ramping) of genie mini. The genie mini can be expanded by using a second mini to Pan & Tilt head. This would make it possible to make 3 axes TL. I have attached the advanced software, an image with the setup of the system as well as a flowchart of the menu navigation. As an additional extension, I have installed the setting of Decoupling Time in the setup menu. As written before, this version is enhanced for the control of the TLSMC, but can be easily used without it. If anyone is interested in a TLSMC, there are still kits available ! !